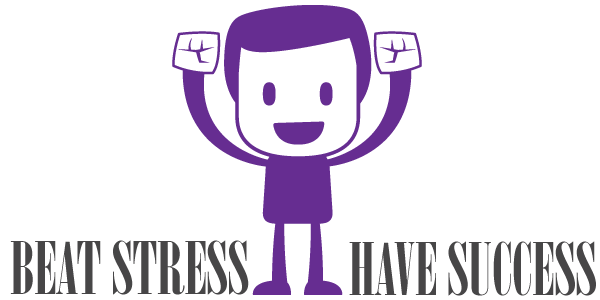 If the holidays weren’t stressful enough, now the real stress is on! Because of the holidays, we work-at-homers (WAHers) now realize that we now have inboxes overflowing with emails, client work which was put on hold, and end-of-the-year taxes to do. Not that we aren’t already exhausted from company and family obligations during the holidays. Then there were the nights that we stayed up late to get ready for the holidays. Not to mention the nights that we stayed up late to pay for it all! Now, there is the tendency to feel panic about how to get back into our former WAH routine and make up for any lost time in our home businesses. The real truth is that we cannot make up for lost time. When time is gone, it’s gone. We’ve all heard the old adage about time not waiting for anyone. Well, that is true. The main thing is to re-group and re-approach how we will go forward. Panic and feeling overwhelmed is not an option. Take a deep breath and de-stress. Clean up and de-clutter. Whether you clean your home office or clean out your inbox, ordinary chores that do not require much thinking can produce a sense of calm. Exercise will help you get moving and de-stress. While you may not always be able to get outside, you can still get up from the computer and stretch. Get that endomorphism going. Use your brainpowers. Whether you solve a puzzle or do a brainteaser video. This will start to work the logical part of your mind, which will logically begin to take control. Start munching. Munch on nuts, carrots or celery. Munching is the oral equivalent of squeezing a stress ball. Have a good cry. Rent a tearjerker of a movie and blame it on Steel Magnolias. Crying helps you release large amounts of stress-related chemicals. Meditate or pray and your stress levels will be reduced. This will help calm the fight-or-flight syndrome. Take vitamins. Especially the B-complex to help with fatigue, mood, and nerves. Dab olive or almond oil under the eyes to help relax. Drink a cup of tea. The antioxidants will help fight disease and black tea will help reduce the stress hormone, cortisol. Drink plenty of water to stay hydrated. Stress can cause you to dehydrate. Turn things over to a higher power. Contact a friend and share/bear one another’s burden. Realize that everything comes in due season. Stressful times later give way to more relaxing times. Try all of these and you’ll be well able to tackle any busy, stressful day in your home business. You’ll once more be in control of your home business and your stress levels. Now, start enjoying a very stress-free 2013. Love these tips. Great for the end of my pregnancy! I’m all about having a good cry. I will seek out a movie with a sad ending, just so I can have a good cry every now and then! @Lisa – I hear ya! Turn the faucet on! Let those tears roll! @ Jess – Glad to hear it! When is your due date? Oh, well. I’m sure you could use the pampering and de-stressing. Great tips! Never heard of dabbing olive or almond oil below the eyes to de-stress, I’ll have to try that sometime. Erica, it is very soothing. I love the olive oil in particular.